Civilization III is a good game. I would hesitate, though, to call it a great game -- the limitations of the Computer AI are too severe for that. Creating a reasonably fast AI for a game including as many complex factors as Civ III is a daunting task. It is therefore hardly surprising that the programmers decided to beef up the challenge of the game at higher difficulty levels by making the computer cheat -- it starts out with more units, it needs less commerce to complete civilization advances and fewer shields to build military units. Additionally, in a supposedly evenly matched fight, the odds are stacked against you at Regent level and higher. At higher difficulty levels, you can forget about cultural victories or building space ships. Only relentless, perpetual warfare will lead to victory. I shall discuss the best (and in my experience, the only) way to defeat the computer civilizations in Monarch difficulty level or higher. When you start the game, your choice of civilizations is essential. Picking a civilization with a late-game special unit or civilization-specific abilities related to faster development is out of the question. While the tactic I am about to describe can in theory work with any civilization, I recommend that you play the Iroquois, Chinese or Japanese. The Iroquois are the best -- their Mounted Warrior is effectively a horseman with attack level 3, making it a devastatingly powerful early game unit. Concerning maps: unless you're extremely patient and willing to sacrifice several days to a single game, you should stick to map sizes Tiny or Small. The duration of the game increases exponentially with larger maps. Monarch difficulty level or above is what I consider to be "difficult" and thus requiring this tactic. Lower difficult levels shouldn't give you any problems if you know the basics of the game. Assuming that you're playing Monarch, Emperor or even Deity (which is very hard indeed), this tactic is your only recourse. So, here's the tactic: Start out by building loads of settlers and warriors. Try not to waste resources on building spearmen -- warriors have a better cost/value ratio. There is a flaw in the Computer AI which makes it regard all military units in roughly the same tech level count equally when it comes to negotiations. With loads and loads of warriors, other civilizations will be afraid of your populous army, thus preventing them from declaring war at inconvenient times. Use your settlers to build an extremely dense cluster of cities, situated near your capital. This will keep shield loss due to corruption at a minimum. Once you've used up the area around your capital, expand aggressively in all directions -- build cities, build cities, build cities! For now, don't worry about the fact that these cities will bring you hardly any shields or commerce because of the corruption. Use workers to build a network of roads between your cities -- only build mines and/or irrigate the squares around cities that are fairly free from corruption (i.e. your early cities near the capital). The additional shields and commerce brought from these improvements will be lost to corruption otherwise. Do your best to prevent your enemy from settling areas. If you have enough warriors and your map location allows it, you can block an entire chunk of the continent with a row of warriors side by side, without initiating a declaration of war. This will keep the area free for you to settle. Try to develop the Horseback Riding civilization advance as soon as possible. As soon as you have access to horses (absolutely essential at this stage), build loads and loads of horsemen. Other civilizations will develop advances much faster that you do. Trade with them as much as you can. When you have a decent horseman (or Mounted Warrior) army, you should attack the closest rival civilization which has advances you lack. Focus on taking cities from him. If the city is very big and you don't anticipate being able to hold it to withstand a counter-attack, you should abandon it after conquest or raze it upon defeating the defenders. Use the worker slaves you get to improve your system of roads. Keep on producing horsemen or Mounted Warriors in your cities -- if you think you can finish Sun Tzu's Art of War before other civilizations, then you should do so (or focus on captuing the enemy city containing it), but don't waste your time and shields on other wonders. In cities that are experiencing massive corruption (i.e. are outside your capital city's sphere of anti-corruption influence), use Hurry Production to build horsemen. This will cost the city 1 or 2 populations, but that doesn't matter. Those citizens aren't producing any value for you and are best sacrificed in the interest of continual warfare. In any case, cities grow faster when they are smaller, so those citizens will be replaced within a few turns. Regarding warfare tactics, it is essential to point out that the true advantage of the horseman is its speed and the fact that it retreats from combat. With a system of roads, you can direct your newly created horsemen to the battlefront with remarkable speed using the Go To command. They will move six road squares per turn. When you attack cities, gather a large number of horsemen two squares away from the city. Wait until your army is ready, attack any nearby units, and then swoop down on the city in a single turn, attacking with every unit you have. If a horseman retreats after a failed or successful attack, make him wait until all your attacks have finished. If you captured the city, move all your wounded horsemen into it and make them heal. This will make all your units fit for combat again in the space of a couple of turns. At the same time, every unit your opponent loses is a permanent loss. This makes your unit turnover rate very low. Despotism is the way to go. It allows you to sacrifice citizens to speed up the building of military units. At every opportunity, you should try to negotiate peace with your enemies by forcing them to hand over civilization advances -- don't bother with gold or stuff like that. It's useless to you anyway, since you won't be wasting shields or effort on expensive city improvements. 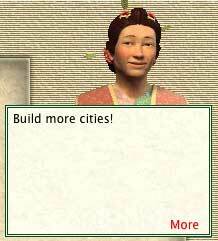 Of course, you should always press for the hardest terms -- if you can get him to hand over cities, then go for it. And of course, the gold you get from him may be useless to you, but at least it's gold that he's not getting. Basically, you should move from city to city, and civilization to civilization until you control an enormous number of cities. Unless you're playing the Iroquois, you'll get in trouble once your enemies invent Feudalism and get the Pikeman. The Horseman's attack level of 2 is not very good against a fortified defense level 3 unit. 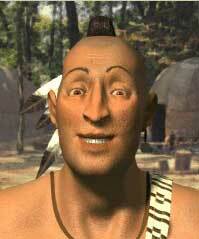 The Iroquois Mounted Warrior can handle it, though. It's not until you enemy has the Musketman that trouble starts -- your mounted units are no longer powerful enough to take cities without devastating losses. This is the stage where you start building Knights anyway -- it's good to be the Chinese or Japanese at this point. The Chinese have the Rider, which is identical to the Knight except for a movement rate of 3, while the Samurai unit (also a replacement for the Knight) has a nasty defense level of 4. You can resume the tactics outlined above, but switch your unit production to these more powerful units. This guy knows what he's talking about. This is always true. It goes without saying that you'll want to stick to Despotism throughout the game. None of your cities are going to grow above the size of 5 or 6 anyway, so the benefits of alternate forms of government are irrelevant. It's possible that Communism may be suitable at a later stage in the game (with its Forced Labour), but if you haven't won at that point, it's unlikely that you will. If your enemies manage to develop rifleman defense units, your chances of winning drop to almost zero. Finally, to make this work, I stress the importance of building roads and settling densely. The Computer AI only builds cities in areas that can sustain a fairly large city. You needn't concern yourself with that. Settle in the desert, settle in the jungle, settle in the mountains etc. etc. Just settle every piece of land you can get your hands on. These cities, individually weak and irrelevant, make up for their underdevelopment with numbers -- 50 cities all producing a Knight every 25 turns makes for 2 Knights a turn -- not a bad flow of units. Combined with hurried production or forced labour, you can beat even a cheating computer in the output of units. And remember, your units always live to fight another day since they can retreat. That's basically it. This tactic may seem sort of mechanic and nasty. And it is. But the fact of the matter is that it is impossible to win at higher difficulty levels by being a "nice guy". This is a shortcoming of Civilization III as a game. Let's hope they fix it in Civilization IV.